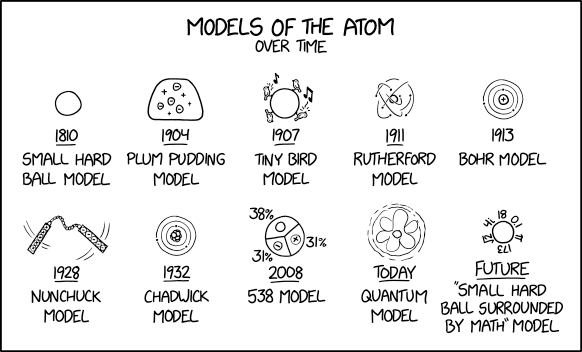 Alt-text: J.J. Thompson won a Nobel Prize for his work in electricity in gases, but was unfairly passed over for his "An atom is plum pudding, and plum pudding is MADE of atoms! Duuuuude." theory.